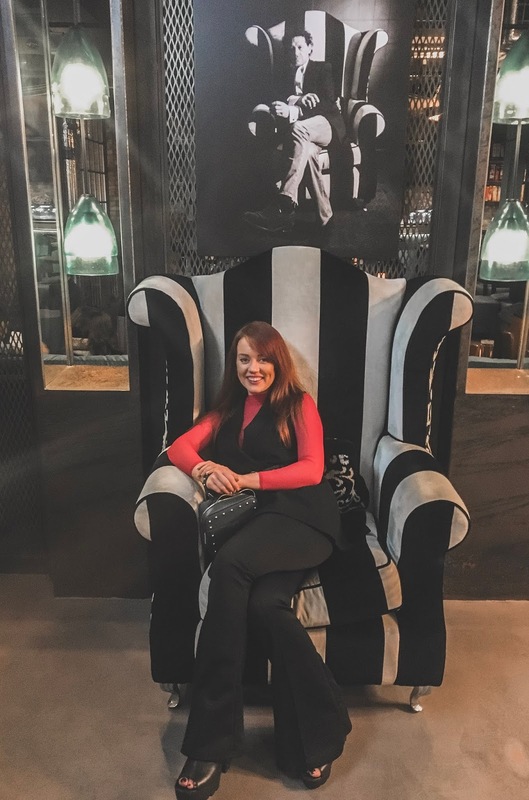 You might have seen that Tom and I stayed at the New Road Hotel recently - a fab new boutique hotel over in Whitechapel. 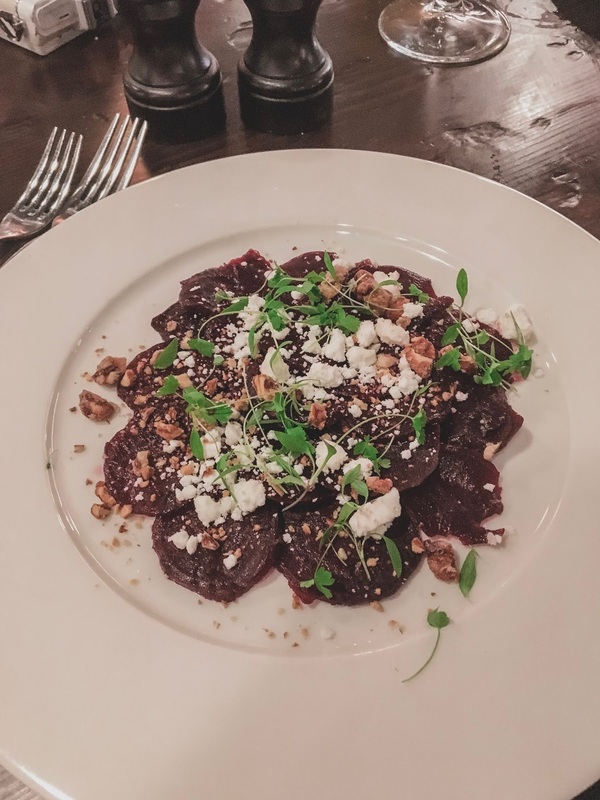 As well as having gorgeous interiors and one of the most comfortable beds I have ever slept in, the hotel also boasts a celebrity chef endorsed restaurant too - Mr White's English Chophouse from none other than Marco Pierre White. Being a chophouse the menu is packed with traditional hearty British dishes such as steaks, chops, ribs and pies - plus a killer cocktail list. 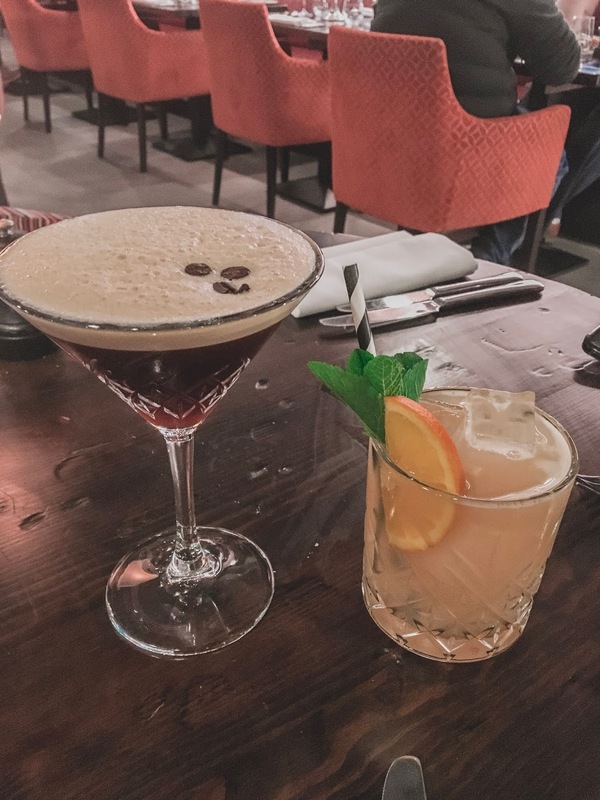 We kicked off our meal with an Espresso Martini for me and a Mai Tai for Tom whilst we decided on what we wanted. For starters, I opted for the goats’ cheese and beetroot salad (£8.50) which came topped with a walnut dressing. Super fresh and light with a gorgeous contrast between the creamy cheese and sweet beetroot. 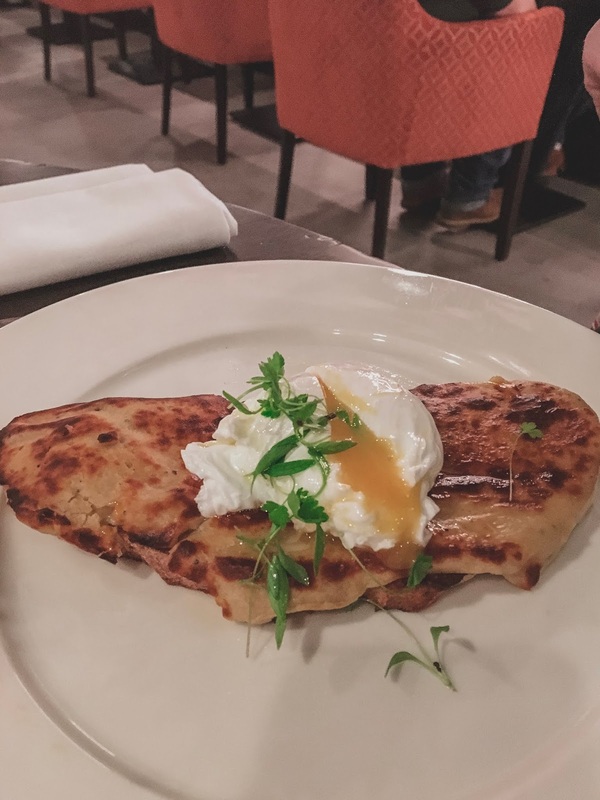 Tom opted for something a little more comforting with the Welsh Rarebit (a bit like a fancy cheese on toast) topped with a perfectly poached hen’s egg. For mains, we both just HAD to go for a steak. 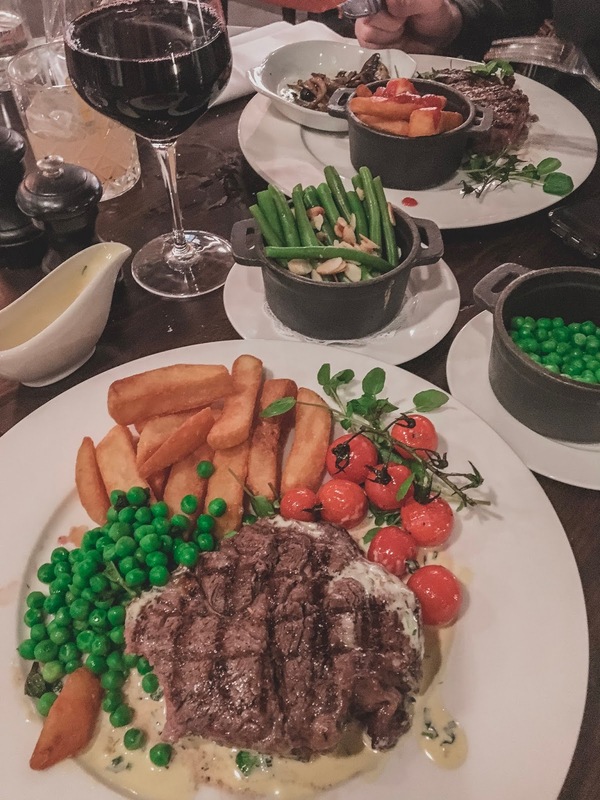 We each ordered the 10oz 35-day aged Rib-eye (£26.95) which was cooked perfectly rare and served with a bearnaise sauce. All washed down with a glass of Malbec - absolute perfection! 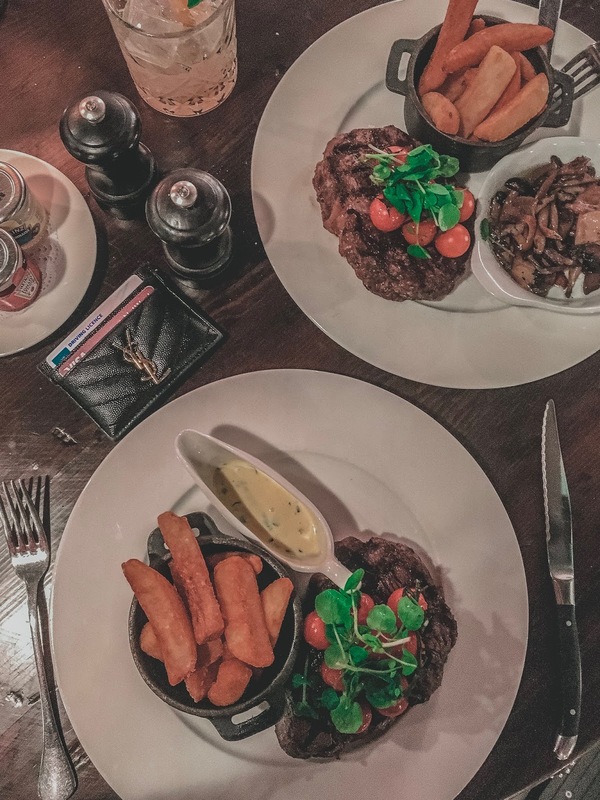 All the steaks come served with roasted vine tomatoes and triple cooked chips. We also shared a portion of the Buttered garden peas with fresh mint (£3.50) as well as the French Beans with toasted almonds (£3.50). To round-off our meal, we shared a portion of the Cambridge Burnt Cream (£5.50). 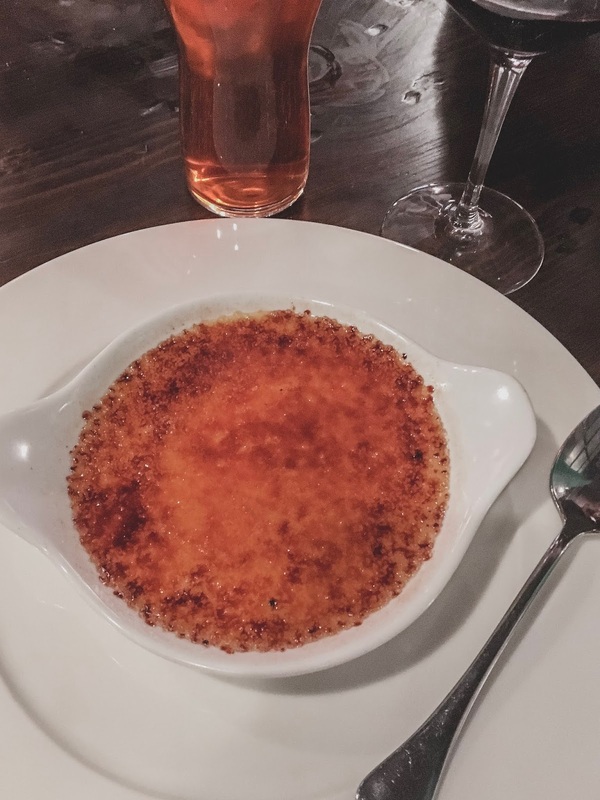 A British version of a creme brulee consisting of a creamy custard base and a lovely sharp, hardened sugar top. One of my absolute favourite puddings.